Andrea Schumacher, senior project manager, has been with The Hilltop Institute since 1995. She works in the technology innovation unit as the project manager for new development projects. Andrea has been Hilltop’s project lead for Maryland’s development of the LTSSMaryland software application. LTSSMaryland is used by Maryland Medicaid to support the home and community-based programs and waivers, including the Community Options Waiver, Community First Choice, Community Personal Assistance Services, Medical Daycare Waiver, Brain Injury Waiver, the Money Follows the Person (MFP) Demonstration, the Developmental Disabilities Waivers, and the Rare and Expensive Case Management program. Previously, she led the project team for the development of the web-based tracking systems for MFP, the Living at Home Waiver, the Older Adults Waivers, and the Quality Care Review System. 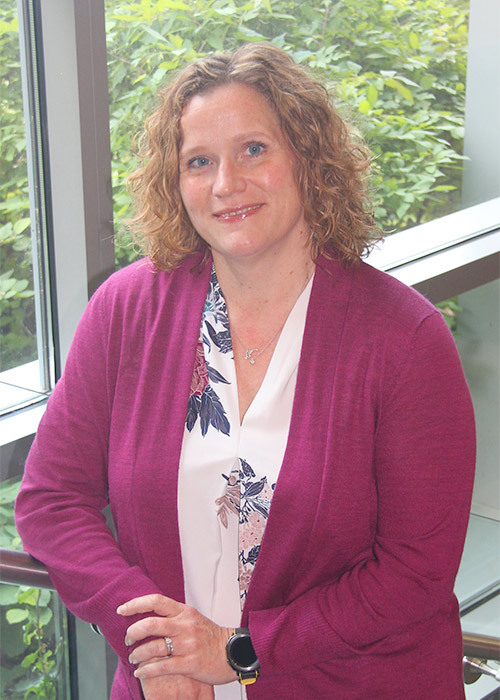 Since 2003, Andrea has been the lead project manager for the Prevention Reporting System for Maryland’s Prevention and Health Promotion Administration (PHPA). This system includes both a client-server application used at PHPA and a web-based reporting tool used by PHPA contractors. She is also the lead project manager for the Maryland State Department of Education school health surveys websites—a tool used by individual schools and jurisdictions to report on school health services usage. Previously, Andrea was the project manager for a contract with the Centers for Medicare & Medicaid Services to develop a technical user manual for implementing a health-based payment system. In addition, she coordinated the state’s review of the National Electronic Disease Surveillance System (NEDSS), a national initiative of the Centers for Disease Control and Prevention to collect and analyze public health surveillance data. Andrea has an MS in information systems from UMBC as well as an administrative MSW from the University of Michigan. She earned her BA in sociology from UMBC with minors in American studies and women’s studies.